For the first time ever I have managed to create a Make it Monday with Papertrey Ink card in the same week the technique was featured. The technique this week was reverse masking. 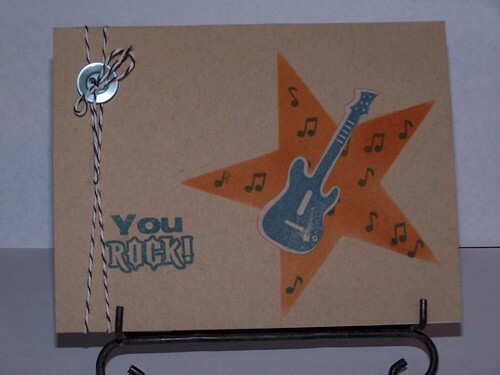 I used a star die from papertrey to create the reverse mask for the card front. It's a nice, simple card. I think it will eventually land in Simon's hands. I have made some very elaborate and thoughtful cards for my husband over the years. He has opened them, smiled and then never looked at them again. Today is our anniversary. I have been busy making banners and cards and cake balls for a party in Missouri. Not to mention I spent the day packing. At 3pm I decided to make my husband another (I assumed unappreciated) card for our anniversary. I was tired and took the lazy way out. I found a picture online, printed it and glued it to the front of the card. 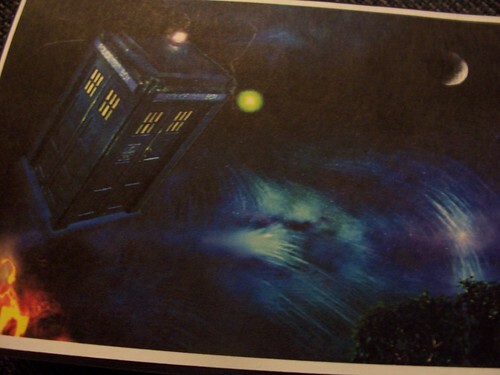 Then I added the sentiment "I would travel through time and space with you forever..." to the inside. 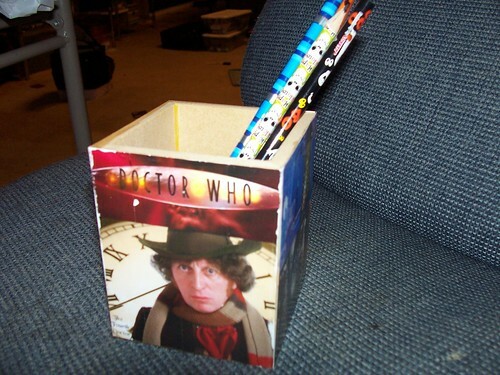 He had tears in his eyes after he opened the card and saw the pencil holder I whipped up. 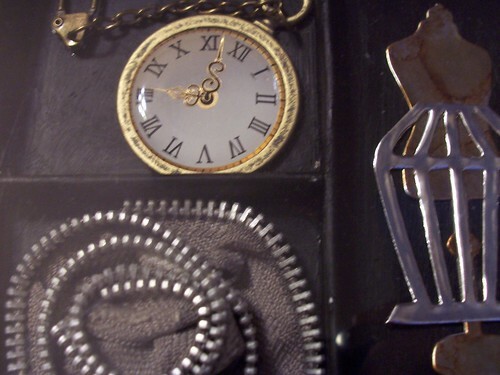 He has them tucked away to take to work and show his friends. My husband is a Doctor Who fan but he is also a Star Wars and Star Trek fan and has not liked any of those cards in the way he liked this one. I will never understand the difference. I honestly couldn't think of a better birthday card for my Lizzy. 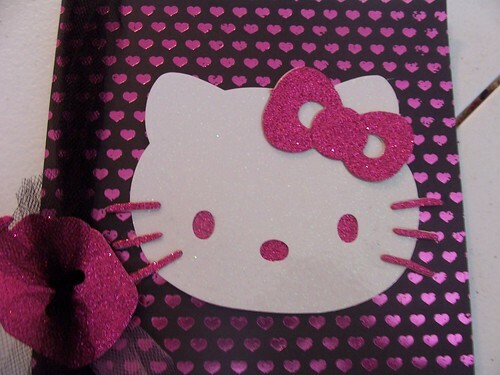 She loves pink, she loves sparkle, she loves hearts and she loves Hello Kitty. This one is simple and straightforward. 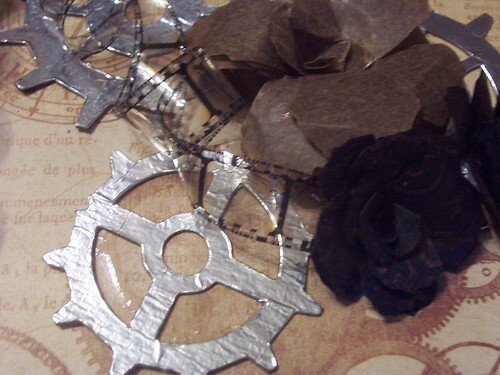 Paper: Random scraps from the scrap drawer. I have another shadowbox to share with you. 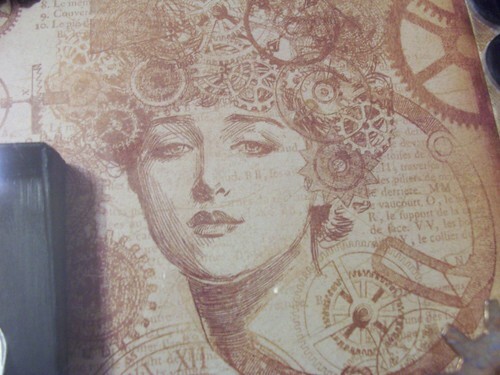 After all the cards I created with the Tim Holtz Alterations, I was in a bit of a Steam Punk/Industrial mood. 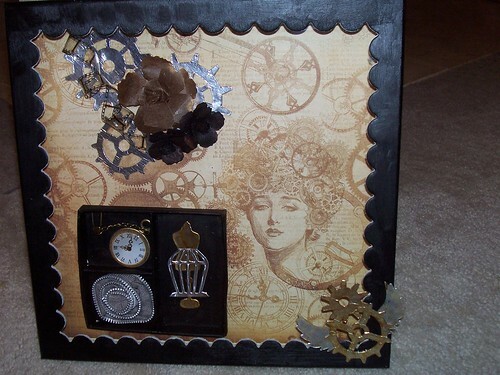 I pulled another of the shadow boxes out of my stash and came up with this fun project.